It’s important not to let your pets feel left out during holiday seasons and Valentine’s Day is no different! You may want to spoil the loved ones in your life but that includes your pet. Every Valentine’s Day I like to make my dog, Harley something special. Last year I made Peanut Butter Pupcakes but this year I went a little more crazy and made her these Beef and Bacon Pupcakes that I found on Pinterest. Of course, she weighs 40 lbs., so tackling a normal-sized cupcake was easy for her, if you want to make this treat and your pups on the smaller side, try giving them a smaller serving. Step 1: Gather all ingredients together and preheat the oven to 350°. Step 2: Stir flour and baking powder together in a large mixing bowl. Step 3: Add the butter, oil, baby food, and eggs to the mixing bowl and stir. Step 4: Sir in the bacon bits. Step 5: Spoon mixture into cupcake wrappers. Step 6: Once oven is preheated, bake pupcakes for 20-25 minutes, or until done. Step 7: While pupcakes are baking, combine peanut butter and cream cheese in a mixing bowl to make the icing. Step 8: Put icing mixture. 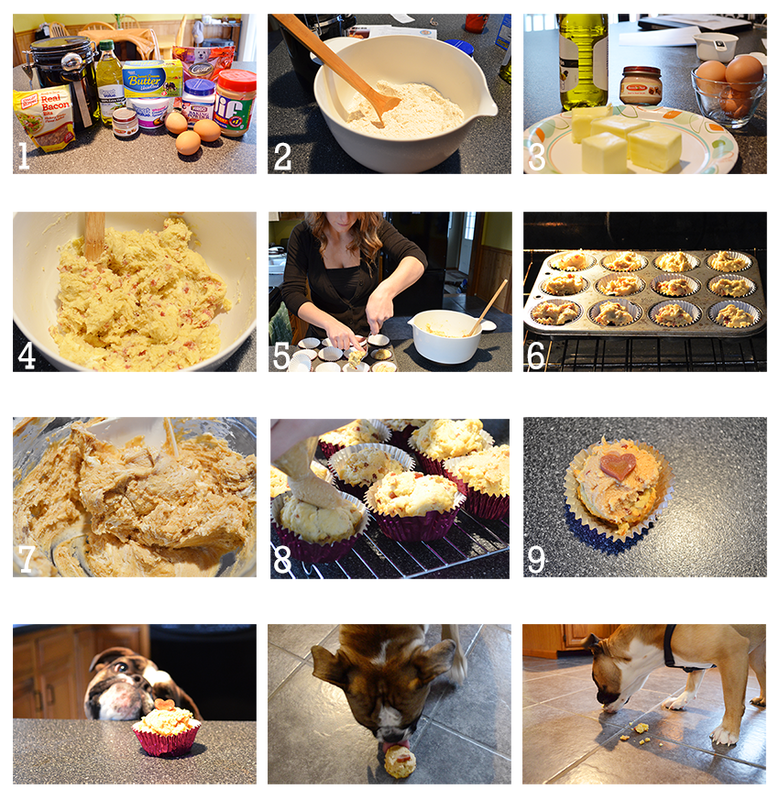 Step 9: (optional) Place a heart shaped treat on top of pupcake. Let your pet enjoy a yummy treat!